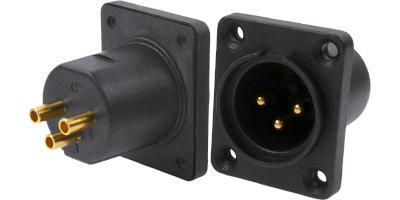 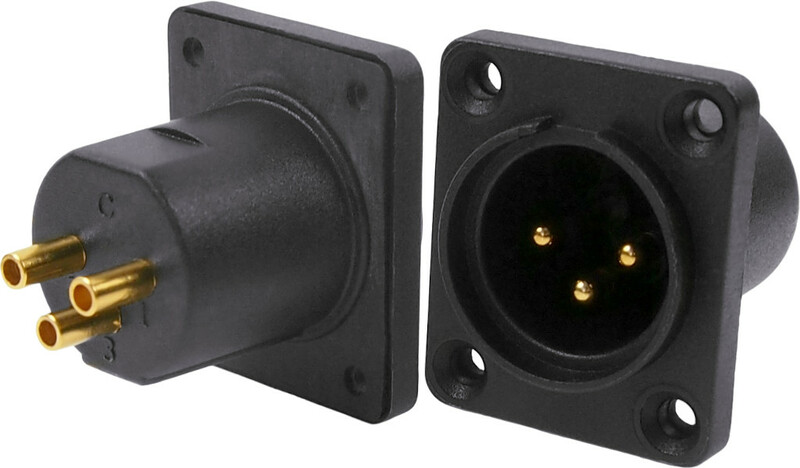 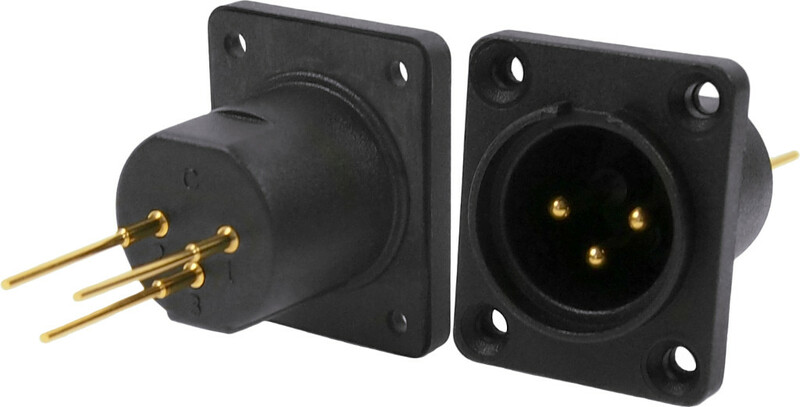 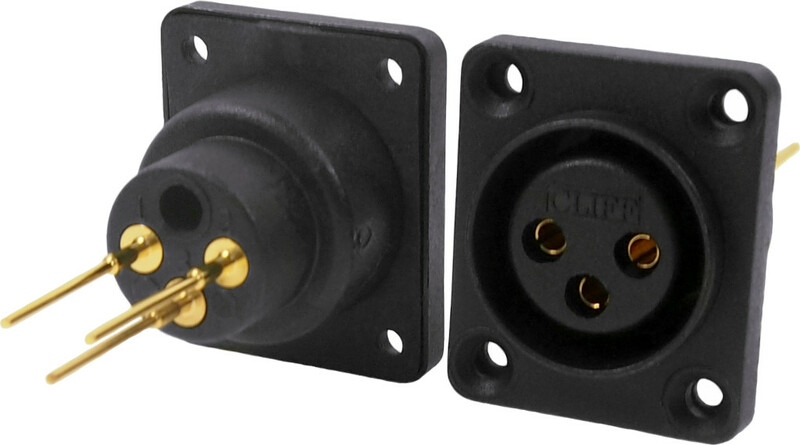 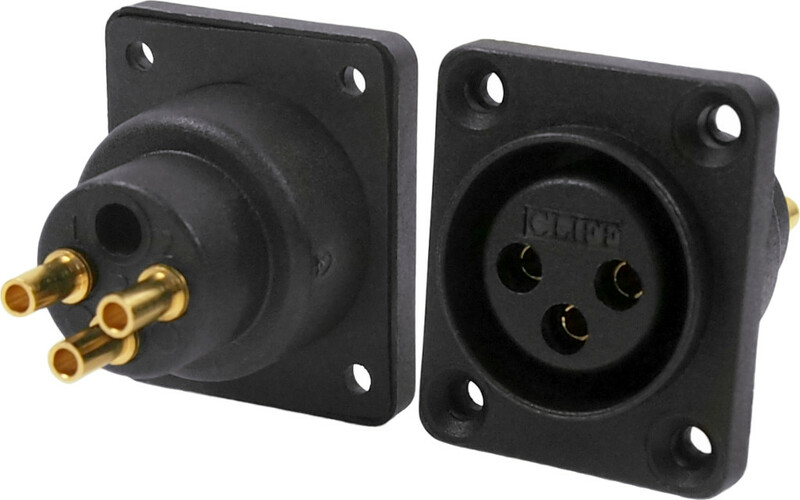 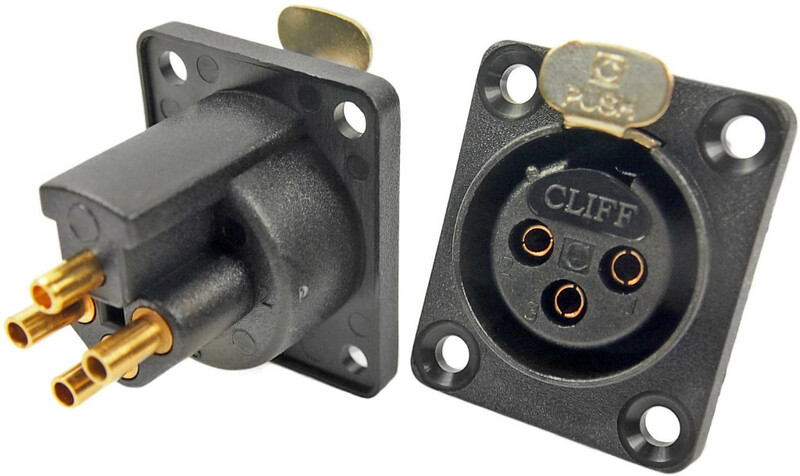 Our airtight XLR connectors are primarily intended for applications such as active speakers, where it is detrimental to have air movement in and out of the enclosure. 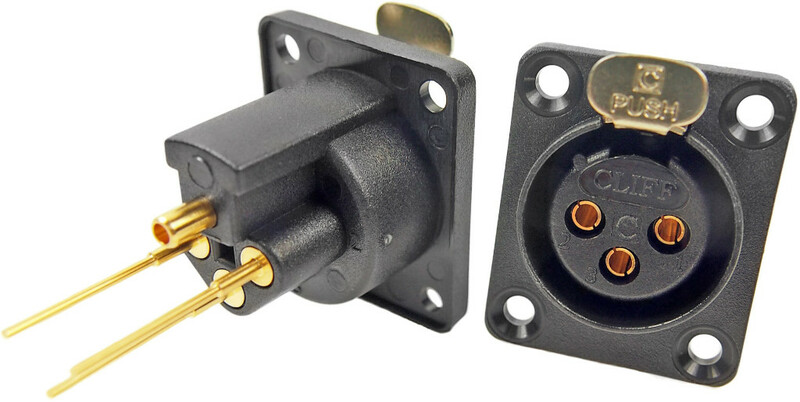 The movement of the speaker diaphragm can cause air pressure changes. 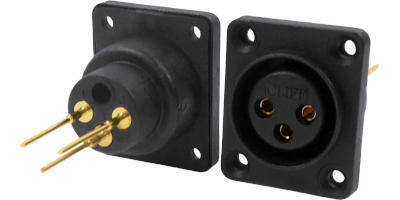 This air can produce noise if leaked in and out of the enclosure via any small holes. 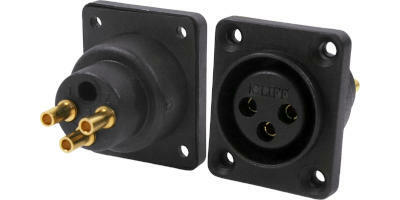 A gasket is supplied to seal the socket flange against the enclosure. The gasket can be fitted on the front or rear of the XLR depending on preferred mounting. 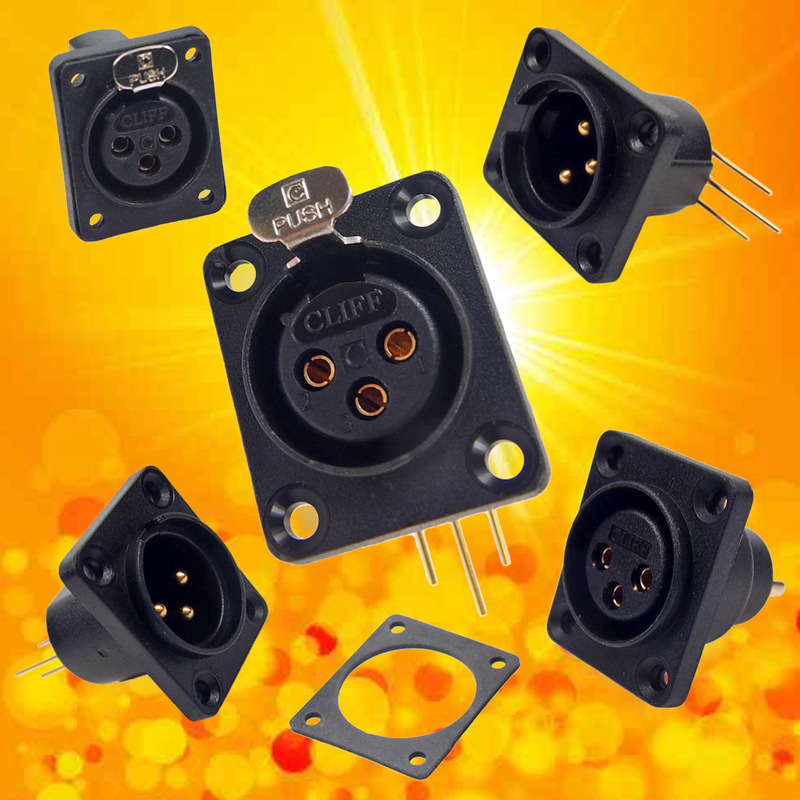 Three mounting types are available. 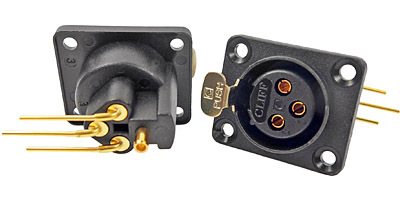 Contacts are gold plated. 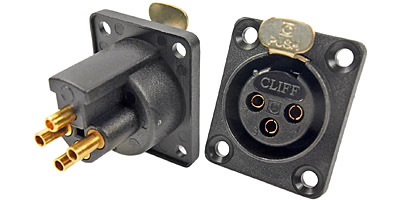 Female versions are available with or without a latch.